Vista Partners | Can Avengers: Infinity War Top $2 Billion? 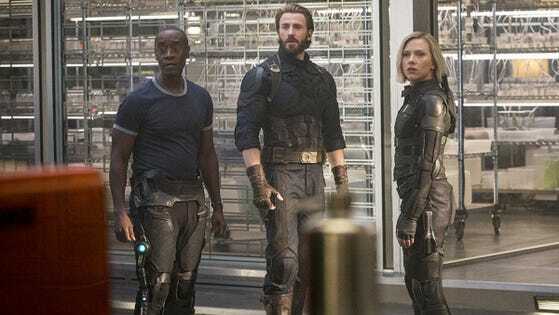 Can Avengers: Infinity War Top $2 Billion? Dow 30 Component, The Walt Disney Company (DIS), and its subsidiaries is a diverse worldwide entertainment company that operates in four business segments: Studio Entertainment, Media Networks, Parks and Resorts, and Consumer Products & Interactive Media. Disney’s Marvel’s Avengers: Infinity War is only $2 million away from breaking the $2 billion mark at the worldwide box office. The movie has already earned $654.6 million in North America, $1.343.3 billion overseas, and currently sits at the fourth largest global grosser of all time. Avengers: Infinity War is the biggest superhero movie ever, even with inflation adjustments, and is expected to exceed the $2 billion mark by day 49 at the latest (today is day 47). Over the weekend the film made $6.8 million in North America and $10.9 million overseas, a sharp drop from the $34 million global cume from the previous weekend that can be accredited to the opening of Jurassic World: Fallen Kingdom overseas. Despite the sharp drop, Avengers: Infinity War still has the potential to possibly become the third-biggest global grosser behind Titanic ($2.187 billion) and Avatar ($2.78 billion).